Growth in the spinal market will likely be achieved through differentiated solutions that meet patients’ needs. 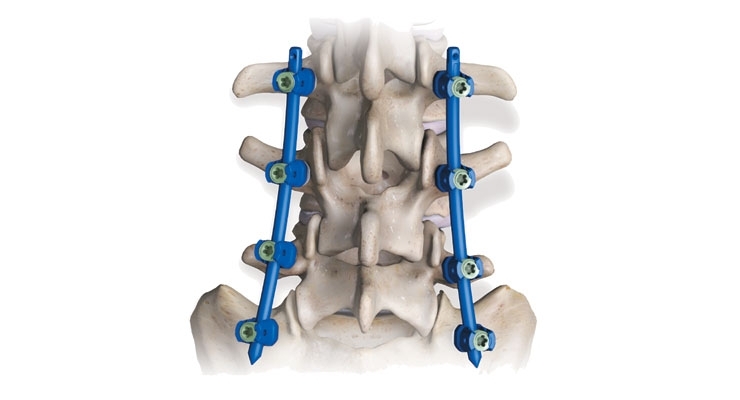 The Vital Spinal Fixation System is a compact solution for degenerative thoracolumbar procedures. Image courtesy of Zimmer Biomet. 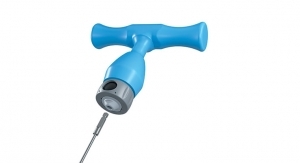 The CONCORDE LIFT Expandable Interbody Device is designed to treat degenerative disc disease. Image courtesy of DePuy Synthes. 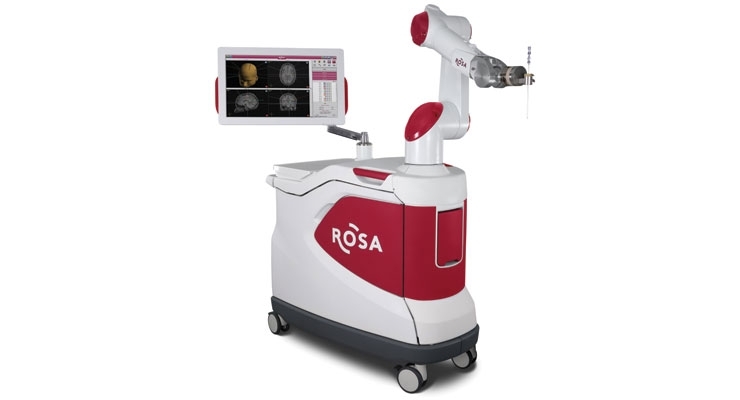 Zimmer Biomet Holdings Inc. acquired the ROSA Robotic Surgical Assistant in early 2017 with the $132 million purchase of Medtech SA. 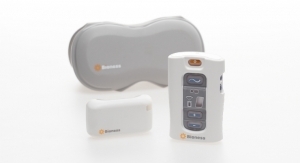 Image courtesy of Zimmer Biomet. Steve Kerr is not the kind of guy to mince words. During his first four years as an NBA coach, Kerr has become one of the league’s most outspoken figureheads, regularly lending blunt (but heartfelt) commentary on various social and political issues. No topic has been off-limits for the eight-time champion, nor has any question gone unanswered. Kerr’s candor and strong volition are a rarity in modern professional sports, where corporate sponsorships and greedy team owners generally discourage coaches from sounding off on societal injustices. Kerr, however, has never been hesitant to speak his mind. He’s been less than complementary to politicians (President Donald Trump in particular), players, and organizations alike, and when warranted, even his own team, the Golden State Warriors. Consider, for example, his take on Trump: ”The man who’s going to lead you has routinely used racist, misogynist, insulting words...you want there to be some respect and dignity and there hasn’t been any.” (And that was one of the more tame comments). His post-game remarks are just as colorful. Kerr’s straightforward commentary also transcends the sports and political worlds. His stark (mostly unflattering) appraisal of back surgery last spring, for instance, caused quite an uproar within the orthopedic industry and helped spark a national debate on the merits of such procedures. Kerr’s criticism, not surprisingly, was rooted in personal experience. In early 2015, the former shooting/point guard underwent a microdiscectomy to repair a ruptured spinal disc that left him “struggling to walk” and unable to compete in a celebrity golf tournament. During the operation, a dural tear occurred, leading to a rare (but not uncommon) complication: a spinal fluid leak. Although he underwent a second procedure to repair the leak, Kerr still suffers from headaches and nausea—lingering aftereffects that have forever soured him on back surgery. Barring surgical intervention, though, may not be the best strategy, either. Studies show that microdiscectomies—removing herniated disc material to relieve pressure on the spinal column—is one of the safest and most effective ways of treating back pain. It also can provide better long-term relief than non-surgical methods, according to clinical data. Orthopedic surgeons countered Kerr’s comments to the Post with their own offensive, noting the rarity of spinal fluid leak complications and the dangers of treating painful herniated discs with yoga, rehabilitation, and physical therapy (Kerr is an advocate of all three methods). Such gratification—either on or off the playing field—is driving growth in the global spine surgery product market, a sector expected to swell 5.8 percent annually through 2025 to reach $16.7 billion, industry statistics indicate. Spinal fusion devices will likely capture the largest market share, as the world’s aging population seeks help in maintaining a healthy backbone, although the minimally invasive surgical sector is forecast to grow rapidly too, due to the various benefits associated with these procedures (minimal trauma, shorter hospitalizations). Lengthy product approvals and clinical trial failures, however, could impact demand, along with uncertainty over the transition from the Medical Device Directive to the Medical Devices Regulation in Europe. Camille Farhat, president and CEO of RTI Surgical Inc., a global surgical implant developer of products used in sports medicine, general surgery, spine, orthopedic, and trauma procedures. The Alachua, Fla.-based firm has four manufacturing facilities in the United States and Europe. Erin Johnson, vice president, Spine Product Development, and Nadav Tomer, worldwide president, DePuy Synthes Spine, the world’s second-largest spine company. DePuy’s portfolio of spinal care solutions address various areas, including thoracolumbar, cervical, aging spine, interbody fusion, and minimally invasive surgery. The firm’s 2017 spinal revenue totaled $3.72 billion. John J. Viscogliosi, chairman and CEO of Centinel Spine LLC, a privately held developer of no-profile, integrated interbody fusion technologies. 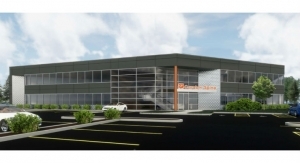 The West Chester, Pa.-headquartered firm was formed in August 2008 through the merger of Raymedica LLC and Surgicraft Ltd.
Rebecca Whitney, general manager, Zimmer Biomet Global Spine. 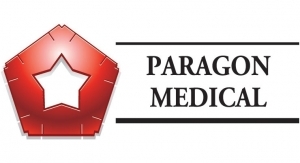 The global OEM provides thoracolumbar, cervical, biologics, and implantable solutions, as well as training and clinical support for surgeons. Michael Barbella: What segment of the spinal market is driving growth and why? Camille Farhat: We’re seeing significant growth in the thoracolumbar and biologics segments with MIS techniques and navigation technology as big growth drivers. 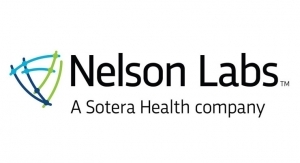 Given current market dynamics, our strategy is focused on growing our Spine portfolio through disciplined R&D and focused M&A of differentiated products supported by clinical data to meet the needs of surgeons and their patients. Our Fortilink series with TETRAfuse 3D technology, acquisition of Zyga, and recent distribution agreement with Aziyo to exclusively distribute ViBone are examples of this. Nadav Tomer: At $9 billion globally, Spine is a large segment. It is a very dynamic market with high level of unmet needs and a competitive space, with increasingly global demand for improved outcomes and shifting regulatory requirements starting to change the market dynamics. DePuy Synthes Spine maintains a No. 2 position globally and we are No. 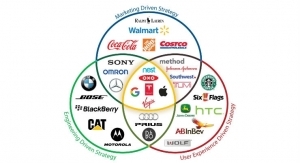 1 in key markets such as China and EMEA. Our position, and the position of DePuy Synthes Spine within the most broadly-based healthcare company in the world, Johnson & Johnson, gives the business tremendous potential to change the way spinal disorders are treated and become a true innovator in a space with significant unmet need. 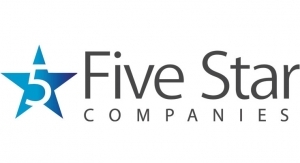 As a company, we are focused on disease states where we see the most potential for surgeons and their patients—degenerative disc disease, adults and pediatric deformity and complex cervical—and introduce technologies in the fastest-growing segments within these disease areas, specifically interbody implants, enabling technologies, minimally invasive solutions (MIS), and biomaterials. John J. Viscogliosi: Total disc replacement—the amount of clinical data and length of time of this data continues to show the benefits of disc replacement over fusion. Prodisc Cervical now has seven-year follow-up data showing that compared to fusion patients, patients who are treated with Prodisc C require significantly less secondary surgeries (i.e., revisions or adjacent level), have comparable or improved clinical results, and very important in the current health economics climate, over 99 percent of these procedures had cost savings over fusion. Prodisc Lumbar has 12-year follow-up data showing significant improvements over fusion in all outcome measures. 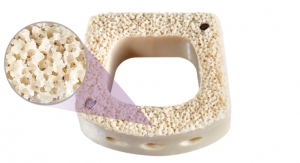 3D-printed and textured surface interbody technology—this technology allows for the development of devices that have design characteristics that may be able to improve bone growth and fusion. 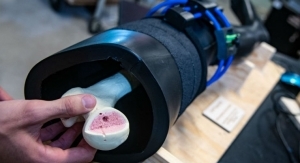 Studies show the surface characteristics of a device have a profound impact on the ability of bone to grow, and surgeons are always looking for ways to improve their fusion outcomes. 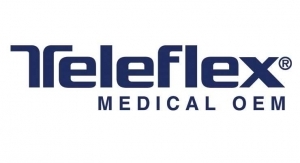 Centinel Spine was a leader in this area with the launch of our Titanium enhanced PEEK STALIF C and MIDLINE II integrated interbody devices in 2015. Now with the advances in 3D printing, we have launched all titanium versions of these products with a flexible lucent matrix. Navigation/robotics—the number of navigation robotic systems continue to grow and is driving growth for companies like Medtronic and Globus. These companies are focused on pedicle screw technologies. There is a perception that these systems can improve patient outcomes, lower OR times, and allow for a more reproducible minimally invasive surgical option. The thought is these systems will allow surgeons to move surgical procedures to outpatient facilities. However, there hasn’t been any meaningful clinical research or data to confirm or disprove these claims. These systems come with a large upfront cost and it is still to be seen if the economics play out for the hospital facilities. Rebecca Whitney: While the spine industry as a whole is experiencing low, single-digit growth, certain segments of the market, including non-fusion technologies such as cervical total disc replacement (cTDR), are significantly outpacing the overall spine market growth. 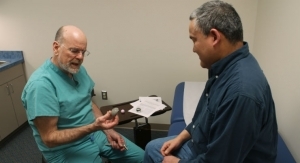 Cervical total disc replacement required clinical trials in order to receive FDA approval, and the procedure is now supported by long-term clinical data. 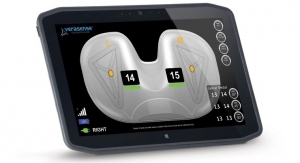 Zimmer Biomet’s Mobi-C Cervical Disc has clinical data out to seven years, proving Mobi-C to be statistically non-inferior in terms of overall study success for one-level use and statistically superior in terms of overall study success for two-level use when compared to anterior cervical discectomy and fusion. 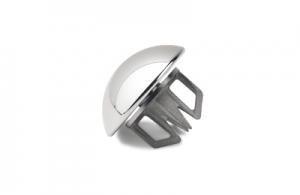 These strong clinical results, combined with the appeal to patients of maintaining motion at the operated level(s), continue to drive strong growth for the cervical total disc replacement market. 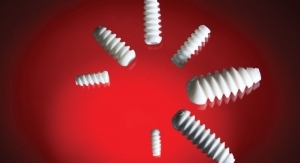 Barbella: What trends are most significantly affecting the state of the spinal implant market? How have these trends changed in recent years (if at all)? Farhat: There are a lot of intriguing trends and technologies affecting the spinal implant market, including movement toward more surgical planning, greater need for better visualization, more 3D printing of interbody fusion devices, and an accelerated focus on the future of robotics. Our innovation roadmap for Spine accounts for industry trends using a disciplined approach specific to RTI’s opportunities for growth and impact. 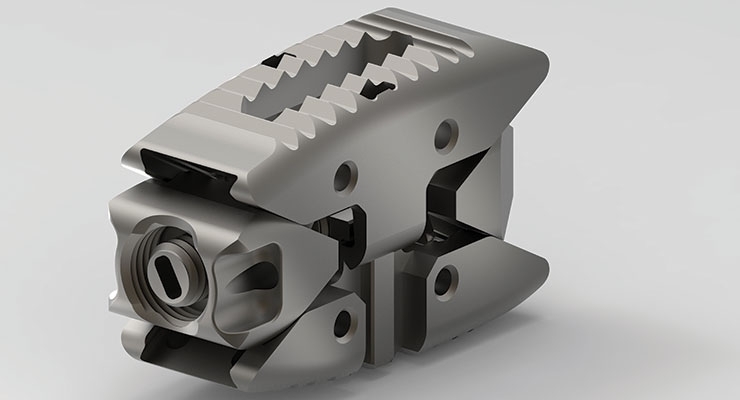 Among the most impactful trends in recent years has been 3D printing of interbody fusion devices, particularly its role in creating surface textures that may help facilitate better outcomes for patients. 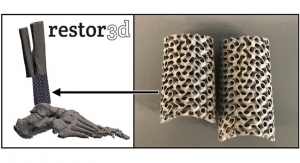 For example, TETRAfuse 3D Technology, featured in our Fortilink series of interbody devices, offers surgeons a unique interbody material optimized to participate in fusion2 while maintaining bone-like mechanical properties and radiolucent imaging. It is the first 3D printed polymer-based interbody device to incorporate a nano-rough1 surface that demonstrated more notable trabecular bone growth than PEEK or titanium-coated PEEK2 in preclinical studies. Tomer: We believe there’s still a huge amount of runway in spine. Minimally invasive surgery is gaining popularity because it can achieve improved early patient outcomes with the correct patient selection and can improve patient satisfaction. In fact, less invasive surgery is the future of spine. We need to be prepared for these procedures to be done in an outpatient setting and innovate the tools and technology required so that we can facilitate surgeons’ ability to perform these procedures effectively and consistently while reducing the impact of surgery on the patient. We have made a concerted effort to focus on faster-growing segments where we see the most potential for growth. Our team has been focused on pipeline projects and external innovation efforts that focus on minimally invasive surgery and technologies that support surgeons in all aspects of experience. Viscogliosi: New product development continues to allow the smaller spine companies to be players in the market as the larger companies have internal processes and stakeholders that are not focused on innovation. 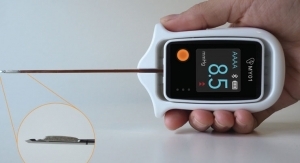 New product development is usually centered around either advanced technologies to improve patient outcomes (i.e., new materials/surface technologies or minimally invasive techniques) and/or improvement in surgical technique to reduce surgical complexity (i.e., stand-alone technologies such as STALIF C or MIDLINE II). Surgeons will continue to gravitate towards these new technologies for these reasons. Increased movement of surgical procedures from inpatient hospitals to outpatient centers or ASCs. Patients do not want to spend multiple days in the hospital when there is the option to have a same-day procedure. The new product development as described above has allowed surgeons and facilities to move more and more procedures to the outpatient centers. Outpatient spine procedures are expected to have double-digit growth over the next decade while the number of inpatient procedures are expected to remain flat. Also, many of these outpatient facilities are owner-operated and set up to drive economic efficiencies. In this case, surgeons are more often than not able to select the products they would like to treat their patients with. Product selection at inpatient facilities are typically driven by a purchase committee or the designated facility buyer. Surgeons like to have options, and the outpatient facility offers this. Furthermore, CMS is recognizing these trends and, when appropriate, providing payment for more and more spine procedures in the outpatient setting. Cervical total disc replacement was added to the list of reimbursed outpatient procedures in 2017. Centinel Spine is uniquely positioned to capitalize on this trend as our development philosophy is centered on minimally invasive, efficient technologies that have improved patient outcomes in mind. And the clinical data that is available proves out this philosophy. Whitney: Some spinal implant procedures, such as cervical fusion, cervical disc, and minimally invasive thoracolumbar surgeries, are increasingly being performed in hospital outpatient departments and ambulatory surgery centers (ASCs). The outpatient environment can lower costs, give surgeons more scheduling flexibility, and reduce the risk to patients in acquiring antibiotic resistant infections. Zimmer Biomet Spine is fully supportive of surgeons operating in inpatient or outpatient settings and is positioned to provide high quality service and support operational efficiencies in both environments. 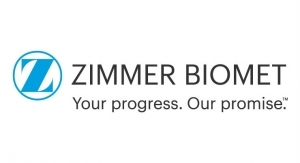 Zimmer Biomet also sees the increasing trend of highly valuing the demonstration of a product’s clinical and economic value. Favorable long-term data, acquired through clinical trials or retrospective/prospective data analysis, will be critical in influencing product adoption. Likewise, products that can demonstrate clinical outcomes leading to positive economic benefits, like lower reoperation rates or faster return-to-work, could create significant opportunities for revenue gain. Barbella: What role is additive manufacturing (3D printing) and minimally invasive surgery playing in the development of spinal technologies? 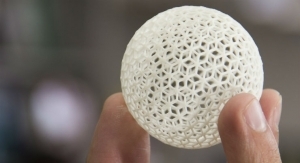 Erin Johnson: Additive manufacturing provides significant opportunity for the unique design of implants. 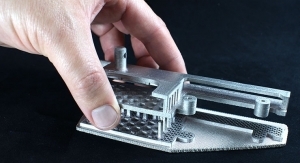 One area where additive manufacturing is being utilized is in the design of interbody cages, where it allows engineers to design implants with specific features sought after by surgeons that cannot be manufactured using conventional methods. In the development of spinal technologies we are also focused on providing solutions for minimally invasive surgery. As minimally invasive surgery gains popularity, we are employing new technologies designed to enhance the surgeon’s visualization, reduce hard and soft tissue disruption, and help ensure identification of the location of the nerves. 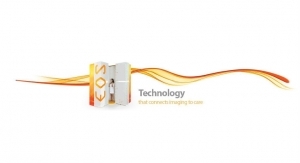 By employing these types of technologies, we are constantly striving to provide solutions that are less invasive, solutions that have reduced variability, and ultimately lead to better outcomes. Whitney: The spine industry as a whole has yet to realize the full potential of creating implants via additive manufacturing, which allows for extensive implant customization and innovation. 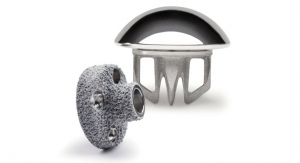 The Zyston Strut Open Spacer is Zimmer Biomet’s first entry into the 3D titanium printing process, which allows the creation of a unique, open cage architecture that maximizes graft volume prior to implantation. In contrast, minimally invasive surgery (MIS) techniques and implants have seen a growing adoption in spine. Zimmer Biomet Spine sees continued uptick, particularly in the MIS markets for expandable interbody devices and percutaneous screw systems. Zimmer Biomet will launch at NASS 2018 the best-in-class ProLift Expandable Cage and Cypher MIS Screw System, the only lumbar percutaneous system with translating screw head technology. These new product launches will allow Zimmer Biomet Spine to deliver holistic MIS procedural solutions to surgeons and patients. Barbella: What are the most significant challenges currently facing spinal firms, and how has your company overcome these challenges? Farhat: Decision-making—such as the type of procedure, products used, etc.—does not fall solely on the surgeon. And yet, the surgeon will continue to be the one responsible for the outcome and well-being of the patient. Understanding and exploring this dynamic is important. This is why we are investing in trials to demonstrate clinical benefit and differentiation to aid in decision-making while also investing in surgeon training to drive demand and increase our value to the surgeon. Along the same lines, RTI is investing in patient education to further generate demand and encourage patients to engage in the decision-making process. A challenge for large spine companies is keeping up with small- and medium-sized companies’ innovation and responsiveness; whereas, a challenge for small and medium companies is building enough scale and differentiation to survive hospital vendor rationalization. Our strategy is to do both: invest in differentiated offerings (such as ViBone, TETRAfuse 3D Technology, SImmetry) and gain scale through focused R&D and M&A. 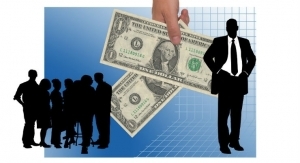 Small companies are also often challenged with being cash flow positive. In our case, RTI’s product mix in tissue generates cash that we can then invest in high-growth, high-margin, differentiated Spine offerings. Tomer: Most critically, competition in the spine market remains intense due, in part, to the size of the market and unmet clinical needs. We’ve had significant pricing pressure in Spine. The largest companies like DePuy Synthes have been most significantly impacted since our technologies command premium prices. 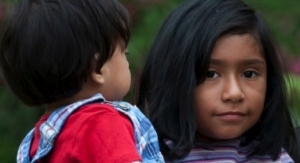 A multi-disciplinary approach is needed to bring better solutions to patients. 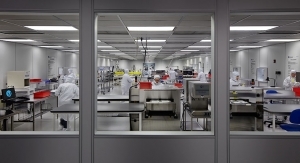 At DePuy Synthes Spine, our goal is to move beyond purely mechanical solutions by employing scientific expertise and bringing improved rigor to understanding diseases, diagnosing them earlier, treating them more efficiently and delivering better and more effective treatment to spine patients worldwide. With this in mind, we have re-invested in our business through external innovation, internal innovation, and reducing the complexity of our portfolio by removing overlapping offerings and divesting brands that we believe will be served well outside of the Johnson & Johnson companies. Viscogliosi: Hospital vendor consolidation driving down patient access and product pricing—hospitals are looking for operational and economic efficiencies by limiting spine vendor access. The concern with this is that limiting spine vendors limits patient access to many advanced technologies that are proven to improve outcomes. 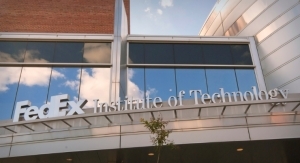 Hospitals realize this and will provide special access to companies with unique, innovative technologies. With hospitals limiting vendors, smaller companies will have the most difficulty in providing surgeons and patients access to their products, so it is critical for these companies to continue innovating and providing unique products and services. 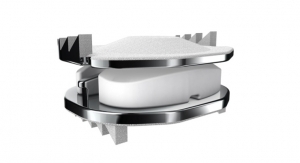 Centinel Spine is doing this—we are the only spine company to offer both a cervical and lumbar TDR in the U.S. We continue to innovate around our STALIF product portfolio through expanded patient indications and advanced materials. And our strategy is paying off as we continue to gain access to more and more hospital systems. Whitney: The spine market continues to see significant pricing pressures due to multiple, small spine companies competing on price, Medicare-related cuts, and third party insurance companies lowering reimbursement rates. Zimmer Biomet Spine has worked to streamline inventory, distribution logistics, and kit configurations to better compete in an increasingly price-negotiated market. For example, Zimmer Biomet Spine created the Vital Spinal Fixation System, a compact solution for degenerative thoracolumbar procedures, based on a comprehensive deformity correction system, providing an optimized two-kit pedicle screw instrument configuration. 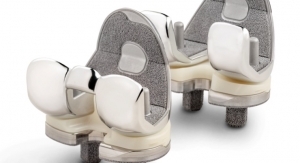 In parallel, Zimmer Biomet Spine continues to invest in unique and premium products, like Mobi-C Cervical Disc. Barbella: What new or existing materials are most prominently being used in spinal implant products? Why? What new surface technologies are being incorporated into devices? Johnson: In addition to traditional materials such as titanium, CoCr, stainless steel, and Polyetheretherketone (PEEK), materials are now being combined to provide optimum options within our offering. We recently launched the PROTI 360 family of implants, made of titanium-integrated PEEK which offers 360 degrees of titanium integration providing a product with the X-ray visualization of PEEK as well as the boney apposition characteristics of titanium. We also continue to explore other materials that can address the high strength needs in the deformity space. Additionally, DePuy Synthes is the only orthopedics company to receive FDA clearance to be able to use stainless steel rods with titanium implants with the EXPEDIUM Spine System. Barbella: What new spinal technologies/new applications are on the horizon? 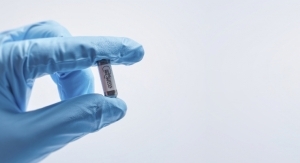 What kinds of spinal devices hold the most potential for patients? For market growth? Farhat: There is significant growth potential for the sacroiliac (SI) joint market. This is a market where we’ve seen about 850,000 patients in the U.S. getting SI injections, but only about 20,000 surgical procedures. Our acquisition of Zyga brought us into this market and added an innovative minimally-invasive treatment to our spine portfolio—the SImmetry System. It is the only minimally-invasive surgical procedure, supported by clinical data, that uses proprietary decortication technology to help facilitate bone fusion, providing opportunity for long-term relief. 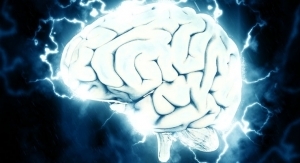 Also, as the industry strives to facilitate quicker recovery times and long-term relief for patients, it will be increasingly important for devices to show faster, high-quality fusion, among other important outcomes, with clinical data. 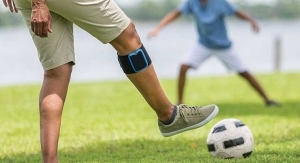 This is what we’re aiming to measure in our clinical trial evaluating Fortilink series with TETRAfuse 3D Technology, anticipated to begin later this year. Johnson: We are particularly focused on disease states where we see the most potential for surgeons and their patients—degenerative disc disease, adults and pediatric deformity, and complex cervical. We continue to deliver on building a high potential pipeline to refresh legacy products, improve OR efficiency and expand access globally. We are acquiring and innovating the tools or technology needed to enable every surgeon to perform these procedures in either a hospital or outpatient setting. Viscogliosi: Companies that continue to invest in products with patient driven outcomes and clinical data will hold the most potential. As discussed, the healthcare market is being driven by a value-based model. Reimbursement is looking to drive costs down through bundled payments and limiting surgical procedures. This is forcing hospitals to drive down their costs, and device prices or limited vendor access is a place for them to start. By investing in research to prove better patient outcomes, through either post-operative outcome measures or secondary surgeries, companies can set themselves apart from the competition and provide cost savings to both hospitals and providers. Centinel Spine is focused on developing products that are proven to promote improved patient outcomes. 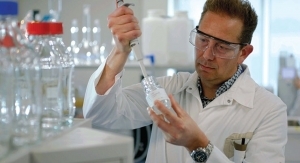 We are heavily invested in clinical trials and outcomes, and in advanced technologies. Whitney: Zimmer Biomet Spine recognizes the importance of navigation and robotics in the future of spine, as a means to differentiate products, increase operating room accuracy, and improve patient care. Zimmer Biomet recently launched a Surgery Assisting Technology (SAT) platform, which includes the ROSA Robotic Surgical Assistant and the WalterLorenz Surgical Assist Arm. Barbella: How will the market drivers, challenges, and future opportunities affect the sector’s dynamics and associated trends over the next decade or so? Farhat: An important and enduring trend for the spinal device landscape will be the need for differentiated products supported by clinical evidence to help drive surgeon and payer decisions. This is why our approach to innovation is relevant and disciplined—we strive to grow our portfolio, through focused R&D as well as M&A, with new, differentiated products supported by clinical research to meet the needs of surgeons on behalf of patients. Tomer: As a result of the consistent focus on delivering on our customers’ needs through a strong cadence of launches, alliances, and acquisitions, investment in professional education, and execution, our goal is to deliver solutions for our customers, going beyond our innovative implants to support their needs. We are committed to increasing customer value through a focus on innovation and addressing the global need for more value-based healthcare. Both external and internal innovation play a big role in our strategy for growth. 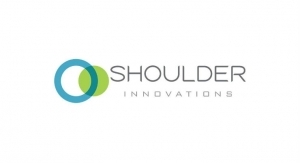 Moving forward, we are focusing our efforts on faster-growing segments where we see the most potential for addressing growing patient needs in the areas of interbody implants, enabling technologies, minimally invasive solutions (MIS), and biomaterials. The changing healthcare landscape demands that we innovate beyond individual products and look at procedural solutions as a whole. We are reinventing the way we do business with a singular focus to address the changing needs of our customers and their patients. While we continue to innovate around growing trends in surgical needs (e.g. 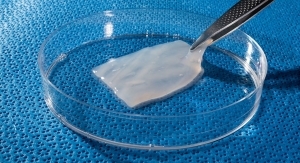 increased use of biomaterials, increasing OR efficiency, etc. ), DePuy Synthes has also developed a holistic suite of solutions to help customers address broader trends such as bundled payments, data collection and analytics, reimbursement, single-sourcing, and outpatient surgery. Whitney: Short term, Zimmer Biomet doesn’t see a drastic shift in the spine market, but rather a gradual migration to more minimally invasive and more motion preservation surgeries with an increase in outpatient care. 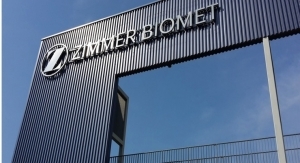 Additionally, Zimmer Biomet anticipates significant technological advancements in the next decade in additive manufacturing and surgeries assisted by navigation and robotics. Long term, spine looks to developments in the field of biologics and disc repair as future care alternatives. However, these regenerative disc technologies are in their infancy and Zimmer Biomet doesn’t anticipate any short-term impact. 1 Data on file at RTI Surgical Inc.
2 Data on file at RTI Surgical Inc. Performance data from animal studies may not be representative of performance in humans. 3 Araghi A et al. Pain and Opioid use Outcomes Following Minimally Invasive Sacroiliac Joint Fusion with Decortication and Bone Grafting: The Evolusion Clinical Trial. Open Orthop J. 2017;11:1440-1448. 4 Wang M, Bhardwaj B, Webster T; Antibacterial properties of PEKK for orthopedic applications. Int’l Journal of Nanomedicine. 2017: 12 6471-6476. † Lab data may not be representative of the effects with all bacteria or performance when implanted in humans. Staphyloccocus epidermidis and Pseudomonas aeruginosa were subject bacterial strains in this study. 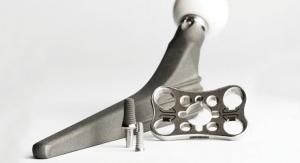 Will Additive Manufacturing Revolutionize Orthopedic Product Manufacture? Production applications for additive manufacturing are growing, but there are considerations to keep in mind. Lasers have been used for machining and other orthopedic applications for some time, but new capabilities now enable even greater benefits. 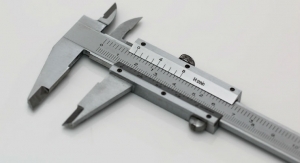 It’s vital manufacturers and their suppliers don’t overlook this critical segment of outsourced product development. 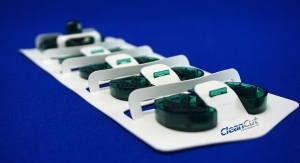 Balancing product quality, patient safety, and faster time to market is possible—it takes careful consideration in packaging design and validation. Surgical instrumentation is growing more complex while also needing to address infection concerns, which can be challenging for manufacturers. 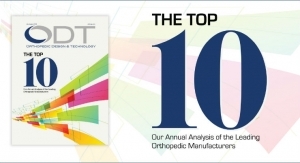 A variety of industry experts discuss the trends, challenges, and future of orthopedic and medical device packaging and sterilization. 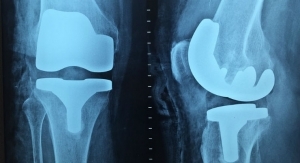 With their healing prowess and cost-effectiveness, stem cells and bone graft substitutes are increasingly gaining traction in the orthobiologics sector. Employing a user-centered design strategy in orthopedic device development can set a company apart from competitors. An examination of the transformation within orthopedic material selection from traditional metals to newer alternatives. The industry confronted old ghosts in 2018 as it defended itself against a documentary and crammed for regulatory changes. 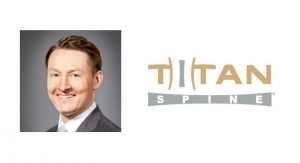 Lasers enable a reduction of risk and manufacturing cost in the fabrication of textured titanium implants. 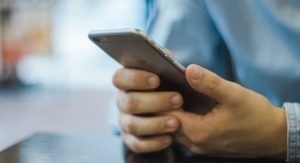 OEMs seek risk assessment of their devices while regulatory scrutiny focuses on data and new requirements.